Proximis is the only Digital Unified Commerce platform. It enables brands to offer their customers an online buying experience like an in-store experience: truly seamless from end to end. Their objective is to help clients sell more and sell better to ultimately satisfy their customers. With a quick implementation process and constant evolution that maximizes results, clients will gain the ability to become a leader in their market. he ONline & INstore solutions that Proximis provide efficiently meet current and future retail requirements. 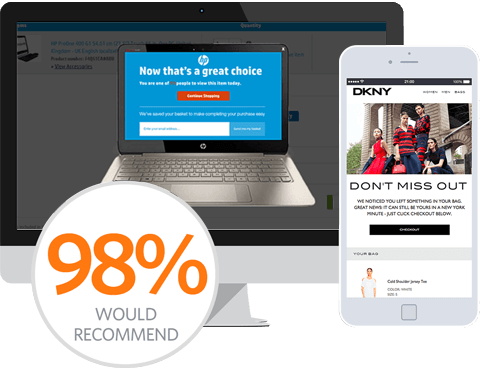 Our partnership with Proximis allows us to provide clients with a first class omnichannel customer experience. Below are just a few examples of how we work together to do this. Reconnect with abandoners with various shopping options: online and in-store. Revealing stock data online and in-store in real-time. A personalized shopping experience both on-site and in emails. Using the strengths of each other’s solutions, we can create an engaging and smooth customer journey that delivers results for our clients. Unify the purchase funnel both on-line and off-line. Create a real-time, unified and connected shopping experience for your customers to enjoy. Reconnect with shoppers who abandoned their cart both online and in-store.